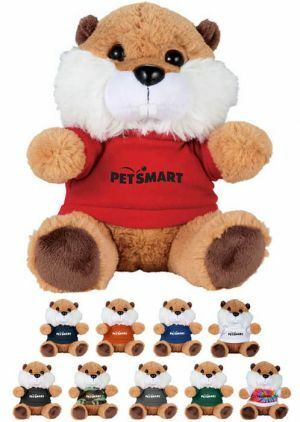 Custom plush animals with Promotion Choice at low prices. 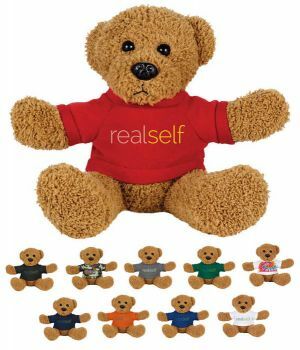 Our personalized plush toys are soft and super huggable. 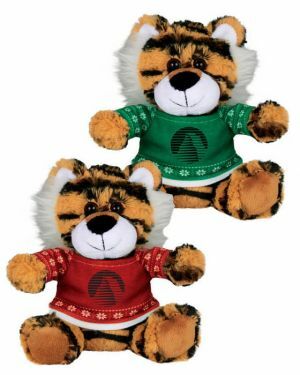 These adorable printed plush animal makes a great gift and is a cool way to promote your brand. 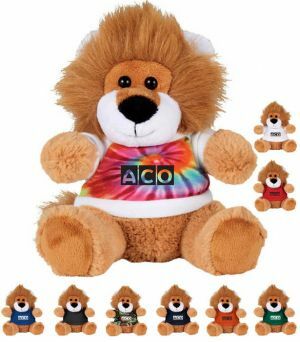 In each case, you can even choose a colorful t-shirt for each logo plush animal to display your artwork or message. 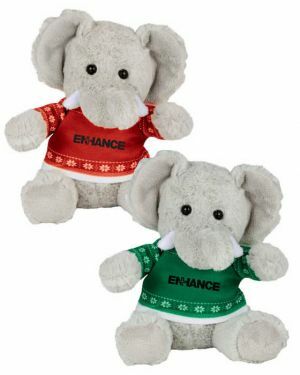 Promotion Choice carries a line of super fine, super adorable, super cute custom plush toys wearing t-shirts that will flash your brand in a very unique way. 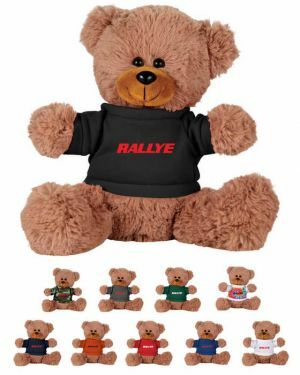 Do not miss out on this opportunity to get these customizable plush animals to help promote your brand or announce your message to the world in a very special way. 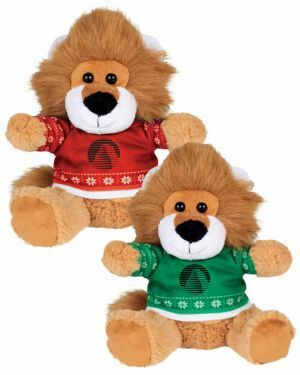 Our imprinted plush toys come in a variety of animal styles. 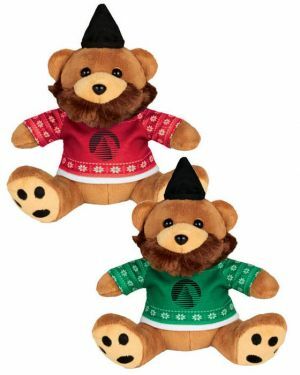 Some examples include: Sitting plush bear, plush elephant, plush lion, donkey, rag bear, tiger, beaver, hipster bear, and also the same variety of these logo plush animals wearing funny ugly sweaters! 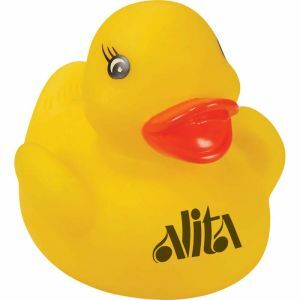 As gifts, these will light up your customers' days and no one will ever throw these away. 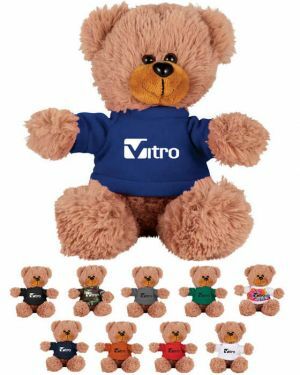 They will sit by their bedside and be reminded of your message, logo, or company name everytime they give these cute personalized plush toys a big hug. 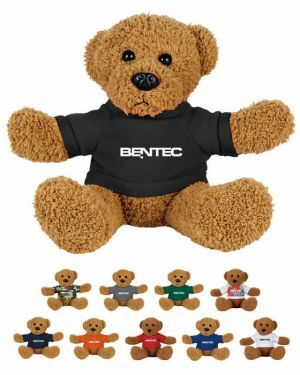 Our promotional plush toys come in two basic sizes - either six inches or eight inches in height. 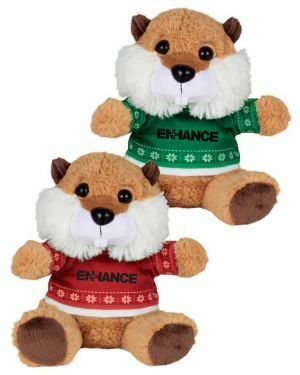 They t-shirts they wear emblazoned with your logo or artwork messagecan also come in differing colors, such as black, blue, green, hunter green, red, orange, white, or multi-colored. 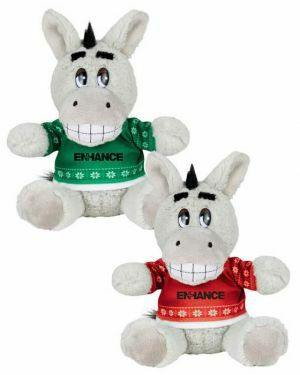 You can get them so they all either have the same colored t-shirts or you can mix and match t-shirt colors. If you do mix and match, be sure to choose your ink color wisely. For example, don't choose to print your artwork in black ink, don't select black t-shirts or your artwork design will not show. Instead, choose lighter colored t-shirts like orange, white, and grey can also possibly work with black ink printing. 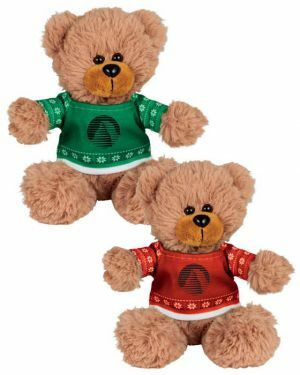 Made from safe non toxic polyester, these customized plush animals are perfectly kid friendly and make the best gifts for holiday seasons like Christmas. 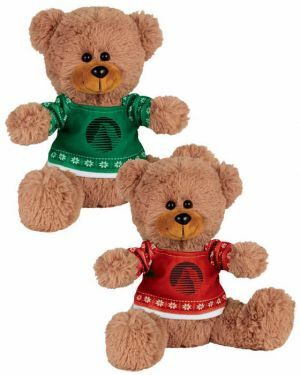 In fact, many of the ugly sweater plush animals have a very "christmasy" look to them! 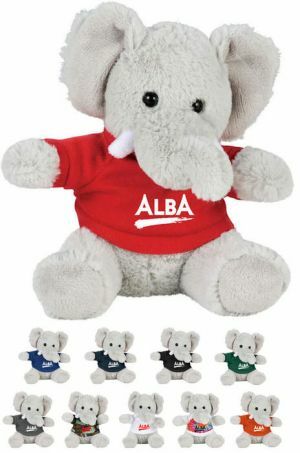 These promotional plush animals can be very easily ordered in our user friendly website using the order form. Going step by step following the simple instructions on our order form and uploading your logo at the very end (or just typing in your text message in the text message box if you don't have any artwork or logo), you will be done with your logo in a matter of minutes. 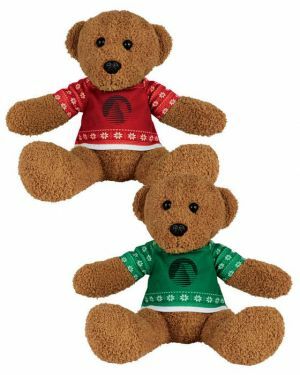 The production time for these branded plush toys is usually 1 business day after all artwork and proof approvals plush ship time. If you have additional questions for us, do not hesitate to call us either over the telephone or via online chat. We will always be happy to help! 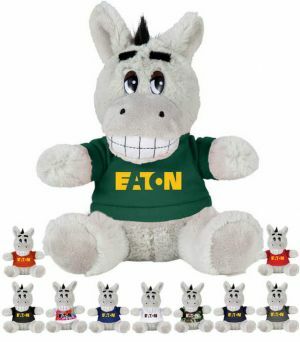 Order your custom plush toys today, and put a big smile on your clients' faces and they will remember you for sure!